Ripping 4-track Audio cassettes. Working with NLS and 2XL format tapes. Okay, so I want to digitize my collection of 4-track audio cassettes, partially for convenience, partially for preserving content that was never made available in any other format. Thing is, none of the tapes are the standard format onced used for commercial album releases. National Library Service for the Blind and Physically Handicap(NLS) Books-on-Tape, which compared to normal tapes run at half-speed(15/16 inches per second compared to the usual 1-7/8 inches per second) and instead of using two tracks per side to produce 2 stereo sides, uses one track per side to produce 4 mono sides. Tiger 2-XL program tapes, which record tracks 2 and 4(side 2 of a normal cassette) in reverse, allowing all 4 tracks to be used on the same side, which combined with playing a single track and switching on the fly allows for interaction. I own the hardware to playback these tapes properly, a portable media player with line-in recording to wav, and the appropriate cable to connect the player's headphone jack to the recorder's line-in jack, but using the original players, capturing only a single track per pass, and in the case of the 2XL tapes, rewinding after each pass seems needlessly time-consuming. 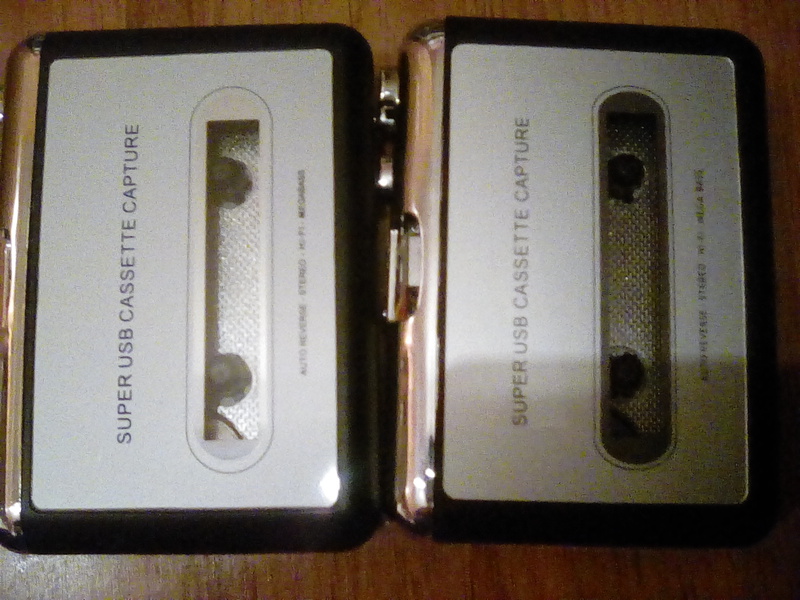 I recieved a suggestion to use a regular tape deck and then use sox or another command line utility to slowdown the rip of the NLS tapes, separate the false stereo capture of the NLS tapes into proper mono rips, and reverse the tracks normally used for side 2 on the 2-XL tapes, but I don't own a normal cassette deck, and I'm having trouble finding something suitable on Amazon. Decks specifically marketed for digitizing tapes are common even at low price points, but many seem to be hardwired for producing mp3, and its hard to tell which ones can be used for making wav that can be losslessly compressed. I've also read at least one guide online that recommends using a line-out jack over a headphone jack on the source side, though didn't offer an explanation as to why. If anyone could direct me to a suitable tape deck for this task or suggest other means of speeding up the process without scarificing quality, it would be greatly appreciated. My guess would be that the line-out signal is not pre-amped so you wouldn't have to deal with a bad quality amp on the chip. Why don't you search for a recording studio near your home? They have all that kind of hardware and can rent the studio time for some hours for you. I would recommend something like this and use a program to demux the stereo streams then paste then you can manipulate the data how you want it. Be warned when buying one of these, though. From experience, there's the good ones which give some good quality and the knockoffs that look almost the same but usually (maybe always?) come loose and have some tiny differences when up close ("MEGABASS" rather than "MEGA BASS"), which may sound terrible. All good and bad players seem to use the same pictures in their respective ads, so I guess that the best way of ensuring that you're getting a good one is directly asking the seller if it comes in an EZcap box (although the latest good one I got came in a slightly different, non-EZcap box) or asking for a real picture of the front lid to see the "MEGA BASS" part (but they'll probably refer you to the stock pics in the ad). I'd say that these are pretty good for preserving at least regular cassettes. One of the good things about them is that they output digital data directly through their USB connection so you won't even need audio cables or sound cards, and also you can turn the volume to the max without the sound becoming distorted at all, then you can adjust it through the Windows/Audacity sound settings (both of which are actually linked). Well, unless it's embossed in large print, I doubt I could tell the difference between "MEGABASS" and "MEGA BASS" even with a unit in hand, and I don't even have a monitor to let a sighted assistent look at photos. Anyone know of any Linux command line utility that works with a USB audio input? Even assuming it works iwth the Linux version of Audacity(it supposedly works with both the Windows and Mac versions, so I assume lack of mention of the Linux version is the usual "Linux Users have to do their own tech support" mentality that is near universal regarding consumer electronics that connect to PCs), trying to get another graphical application up and running with Orca sounds like a massive pain. If you are using Linux, you should be prepared to do most of the major legwork for best results. And how do you not have a monitor? Like a speaker monitor or an lcd/oled/plasma monitor? I apologize for my ignorance. I just went and ordered this one after getting a box picture from the seller. It wasn't the original EZcap box but rather the similar one that included a non-knockoff player last time. I'll let you know if it ends up being one of the good ones once it arrives in like a month or so, if you want. Using trim to get a clip of tape hiss(very noticeable in the raw rip when listening through ear phones, though comparing with playing the tape on an actual Tiger 2-XL reveals the hiss to be less than the tape hum produced by the original player). Using noiseprof to generate a noise profile from the recording of pure tape hiss. Using noisered to remove the tape hiss, resulting in a sound file that subjectively sounds better than playing the tape on the original hardware. Using a combination of reverse and silence to trim away silence, split the rip into a file per tape side, and correct that side B of the tape got recorded backwards. Only thing I'm missing at this point is a way of combining the two stereo files I have into a single quad audio file, ensuring all tracks are properly synced and a playback program that allows on-the-fly channel switching.